Every business faces competition. Some have to fight it out with the major players while others are more concerned about the business around the corner. When it comes to Internet marketing, the competition is no longer confined to your area but extends to businesses from far and wide. You may not even be aware of their existence but they can appear unbeatable online, taking the lion’s share of your customers. In your industry, there are some companies whose websites are already on the first page of the search results for all the important keywords your potential customers are using to search for the products you offer. 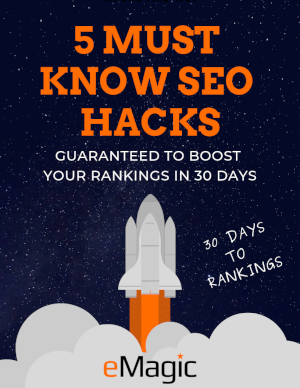 Since 95% of your potential customers will never go past the first page search results it’s absolutely vital your business shows up here if you want to succeed online. The problem is there is only one first page and lots of other businesses fighting to be there. How do you get your website to the top of Google? How are your competitor’s able to dominate the search results? These questions can be answered through competitor analysis. Competitor analysis is an extensive study of everything your main competitor’s are doing to achieve top search engine rankings, brand visibility and target market reach. This uncovers their online marketing strategies, link building methods and what techniques they are using to increase their traffic and then convert them into sales. The exact keywords being targeted and their results potential. The content, design and on site search engine optimisation of a website. The offsite SEO strategies employed. All link building techniques and a detailed analysis of their results. Landing pages, sales pages and the factors that convert traffic into sales. Video marketing, if any and all associated online marketing strategies. Our competitor analysis will show you exactly what you need to do to outdo your competitors online. It will show you areas to focus on to get you the fastest results possible and areas to avoid that are only hindering your success.